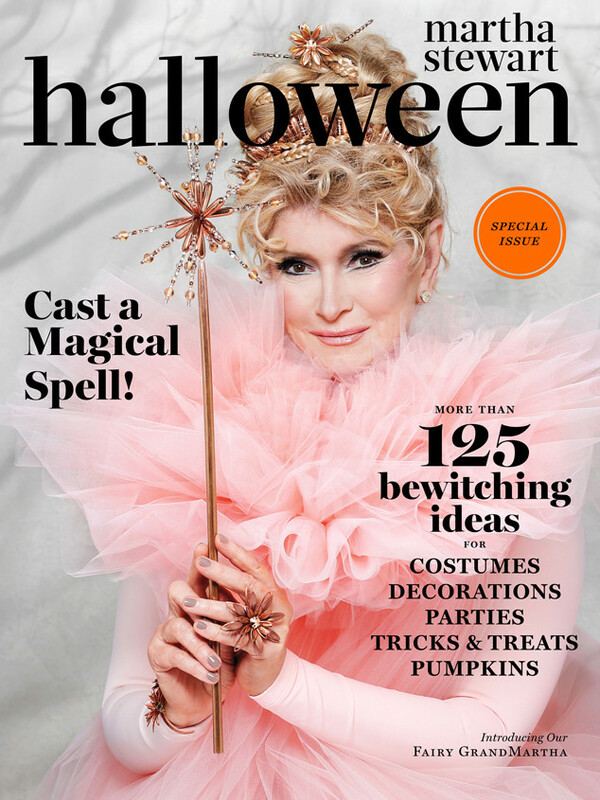 For those of you equally obsessed with Halloween, you know the “special edition” Martha Stewart Halloween magazine is now on shelves! The past three or four years, this edition has been somewhat of a repeat, snoozefest, since much of the material had been used already and/or was available the website. I’m all about Halloween how-tos, ideas and suggestions being made available year-round, however, if I’m going to shell out ten bucks for a special edition magazine, I want it to be worth it! 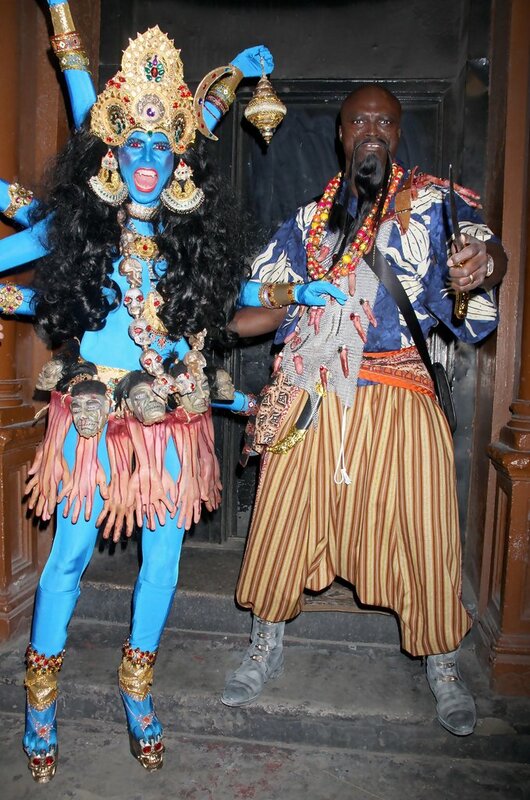 What a pretty (terrifying) lady! 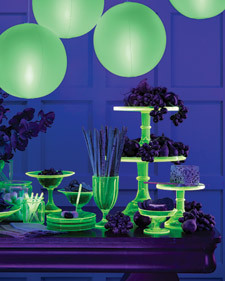 Anyhow, this year’s Halloween edition had a few “new” ideas in it, but the one thing that REALLY stood out for me was a table setting with glowing green glassware (sends you shivers, doesn’t it??) that’s apparently called Vaseline glass. Of course, because it’s Martha, the one amazing thing in the magazine is totally unattainable for normal, boring, non-billionaires like us. It was described as “pre-Victorian yellow-green Vaseline glass,” that glows under black light because it has a teeny, totally harmless (ha!) bit of URANIUM in it! Vaseline Glass is the ONLY THING I WANT! So, this nuclear glass is completely incredible, and combined with my (ridiculous) extensive collection of milk glass, I could set THE ultimate Halloween table, right?! Thanks a lot, Martha, now I have to spend the rest of my life looking for slightly nuclear compotes. Thank goodness for Etsy and eBay, but this stuff (even the pieces made in a post-industrial society) is pretty expensive. I found an amazing bowl that’s about seven inches in diameter for $100, and some tiny cats for like $25, but that’s just not going to cut it. 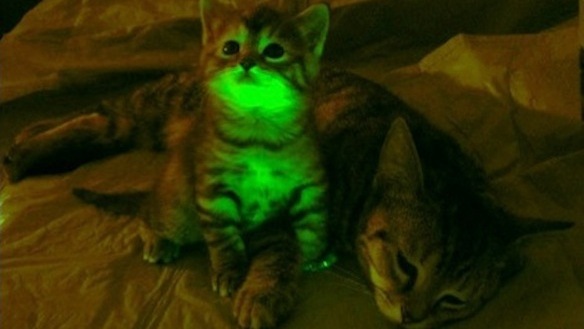 I want a banquet table of glowing green place settings! I want creepy black flowers and skulls and cobwebs (all totally tasteful, of course) to be lit from underneath a glass-top table so everything is both dark and glowing simultaneously, with the accented now-purple milk glass to highlight the disturbing “Victorian” themes of death and the afterlife! I want spiderwebbed fabric to be gathered on the ceiling and come to a beautiful gushing pouf atop a spider-egg chandelier! *evil laughter* Seriously, though, I desperately want that to be my reality. 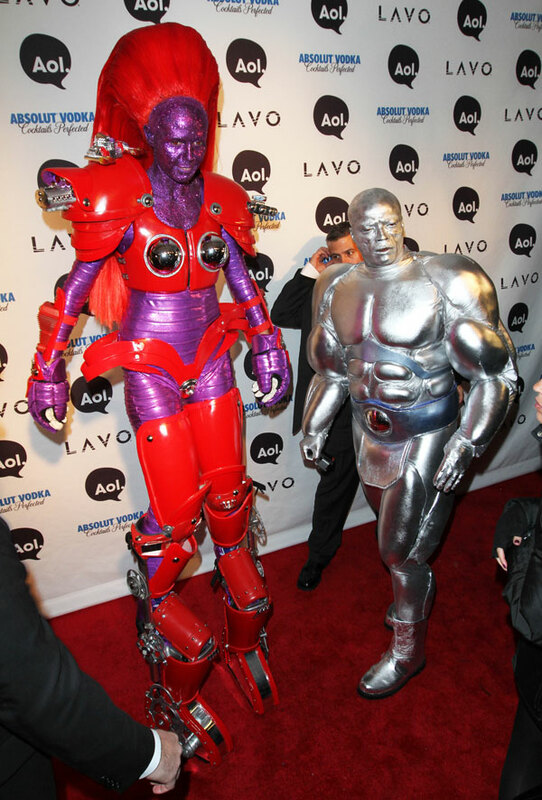 I would like to throw a Halloween party that rivals that of Heidi Klum and Seal’s, with equally amazing costumes and a slightly fancier table. Not that I have any idea what their actual parties consisted of, but dammit, mine will be fancier! Whoa. Seriously, they DID IT RIGHT. It should be stated that the last time I showed an interest in a specific type of glassware (milk glass), it was bequeathed upon me en masse for several years. I don’t know if Vaseline glass will be easy to come across, but since Martha’s slumming it, I am now hoping to acquire Vaseline glass consistently until I die, in a glowing green room, of uranium poisoning. It will not be as cute as this kitty. Next Post Design Your Own Wallpaper – Via Houzz!